The annual, tenth, World Gymnastics Cup, this year named the DOBRO World Cup Osijek, after a brand from the main sponsor Žito group, will gather some of the top gymnasts from 30 countries worldwide. The competition will take place at the Osijek’s City hall, popularly called Gradski vrt, from 24th to 27th of May 2018, where one of the most massive, and best stops, of this year’s nine stops of the World Cup will be held. These information were provided to the press at the press conference held at the restoran Crna svinja (Black pig) at Čepin (village near Osijek) where the speakers were Vladimir Mađarević, sports director of the DOBRO World Cup Osijek, Stevo Tkalčec, president of the Croatian Gymnastics Association, Ivan Vrkić, Major of Osijek, Ivan Anušić, Prefect of Osijek-Baranja County, Marko Pipunić, director of the Žito group, main sponsor of the Cup, Krešimir Šamija, Deputy State Secretary of the Central State Department for Sports and Dubravko Šimenc, famous water polo player and nowadays Head of the Department for marketing projects with strategic importance at the Croatian Tourist Board. 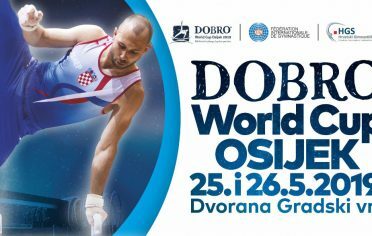 During the DOBRO World Cup, there will also be other activities to bring gymnastics to the citizens, but also to introduce the guests to the touristic potential of Osijek. Alongside the gymnastics weekend, FEELGOOD WEEKEND, Gastro&Wine&Music Festival will be maintained the same weekend as well. Osijek’s Park of King Petar Krešimir the fourth will host the drawing of starts numbers for all ten finals after the qualifications end on Friday. The practice of number draw is already seen at the Snow Queen Trophy which is held in Zagreb every year in January. After the draw, a famous group S.A.R.S will entertain the guests as well as the citizens. 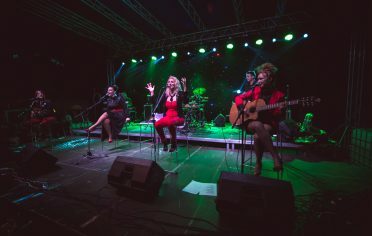 On Saturday, after the first day of the finals, group The Frajle will have a concert as well. – Osijek is one of the ten stops of this year’s World Cup, apart from Melbourne, Baku, Doha, Koper, Mersin, Szombathely, Pariz, and Cottbus. This is the tenth edition of the Cup here in Osijek, therefore, we decided to prepare surprises for the athletes, citizens of Osijek, and the visitors who will come to Osijek to see the competition as well. We want to present Osijek as not only the city that can host this competition but also as a town that has big potential to attract people. This year’s motto is to connect gymnasts to regular citizens and that’s the main idea behind all of the events. – First of all, thanks to Osijek and the Osijek-Baranja County to all the efforts they’ve given to keep the Cup no matter the tough economic situation in the country. Osijek’s World Cup became the best gymnastics cup worldwide. Among that fact, Croatian Gymnastics Association has gotten a respectable status in the world of gymnastics. 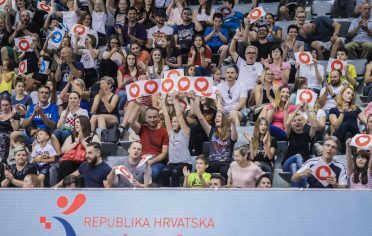 Also thanks to the Central State Department for sports and the Croatian Tourist Board as well for their support at this year’s DOBRO World Cup, based on the decision of the Government of the Republic of Croatia. – At our company we generally support sports, but we cherish some huge events as the World Cup because of an opportunity to connect culture, sports and economy as well. That’s a common habit worldwide, so we’re trying to bring sports to our community too. While organizing these events, our concept is primarily to bring it to the people so they leave with wonderful memories. During the Cup, there will be about 2 500 nights spent which is not a negligible number. Delegations from 30 countries worldwide are coming and if we manage to bring out Osijek’s best, they’ll carry their unforgettable stories home. – This a unique opportunity to show our belief in the local community. This event is supported by the city with 240 thousand kunas for its tenth birthday. 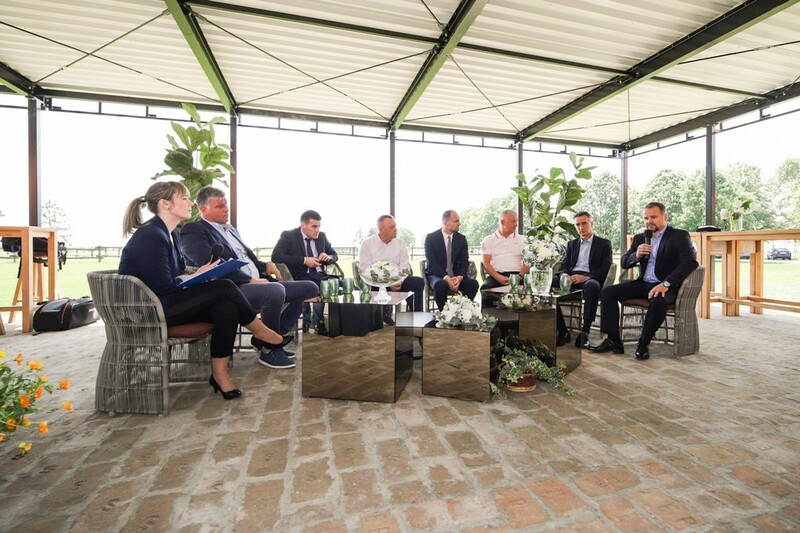 This event has an immense value for the city, and therefore especially thanks to Mr. Marko Pupunić, who invests in sports in Osijek, and thinks about the local community even though he’s a successful businessman. My hopes are going towards the idea of sending a picture to the world that Osijek isn’t dying but has a great perspective. – Organization of the World Cup with the support of the Žito group is socially responsible behavior. These events can prove, once again, that the Osijek-Baranja County has an immense tourist potential during the year. Gymnasts from 30 countries will come to Osijek’s City hall, and the TV stream will be watched in even more countries. I believe that the guests will be pleased with the city of Osijek and the Osijek-Baranja County as well. My modest opinion is that the World Gymnastics Cup is one of the three brands of this County for which we can become recognizable and that’s the reason why we invest in it. – On behalf of the State Secretary of the Central State Department for Sports, and Croatia’s most successful athlete of all time, Janica Kostelić, I’d like to thank to the Major, Prefect, Mr. Pipunić for the Žito group, to the President of the Croatian Gymnastics Association (CGA) and also to the organization of the Cup. We’re looking forward to this project and share your hopes that children will train gymnastics even more as a base for other sports, and that’s why it’s the base of the curriculum. CGA has a list of projects that are or will be used to popularise gymnastics as a great start for any sport, and that’s why we need to include it even more in the P.E. World Gymnastics Cup is one of the 12 events that are financed by the Central State Department for Sports. I’m happy to see a businessman, such as Mr. Pipunić, invests in sports and realizes its importance. Nevertheless, stunning Slavonia will stay a beautiful memory in the heart of the gymnasts. We’re looking forward to the best results of Croatian gymnasts who have already made a huge success in the world of gymnastics. – Croatian Tourist Board recognized this international sports event and supports it as much as it supports the Snow Queen Trophy or Tour of Croatia, which also started here in Osijek. After the Cup, very soon the Pannonian Challenge is coming, and not long after that, the Croatian National Football Team is having their preparation game for the World Championships in Russia, in Osijek as well. CGA takes part in the project „Sporty Croatia“ since this year because the Croatian Tourist Board has recognized that the increase of the tourist nights is the result of sports and sports events. Osijek can provide quality tourist program for the pre-season. Slavonia doesn’t have the sea, but it has generosity and symbiosis of all the factors that this part of Croatia can provide. For more information about the DOBRO World Cup Osijek visit www.osijekgym.com. FEELGOOD WEEKEND thrilled thousands of citizens!